Housing Conditions in Oakland Deteriorate, Tenants Begin Fightback! After moving the family bed into the living room because of extensive mold in their bedroom, one Oakland family decided enough was enough. One family member had recently joined Socialist Alternative, so the local branch stepped in to try to get the landlord’s attention. What they got, however, was not what they expected. San Francisco is quickly becoming the Manhattan of the west coast, with average rents often climbing to about $2500 a month. This surge in housing costs is reverberating in the city’s neighboring communities, with Oakland recording the second highest rising rents in the US in the past year. For workers, the tidal rise in rents has pushed more and more people to live further and further from their jobs. For those who can’t afford to leave they are often forced to hand over an increasing share of their after tax pay to the landlord. The real estate and rental industry is salivating over potential profits. They act like their time has come. More people are lining up to buy or rent and their cash mountains grow bigger daily. Many landlords are letting their buildings deteriorate knowing that their renters can’t afford to leave, or hoping that they’ll leave and they can fix them up and collect a windfall in raised rent. Happy Homes is a property company that owns more than 30 Oakland buildings. SA activists that went door to door to build for a recent tenant meeting heard many shocking stories from tenants, corroborating what they could see with their own eyes: security gates falling off, torn window screens, peeling paint, strewn garbage. 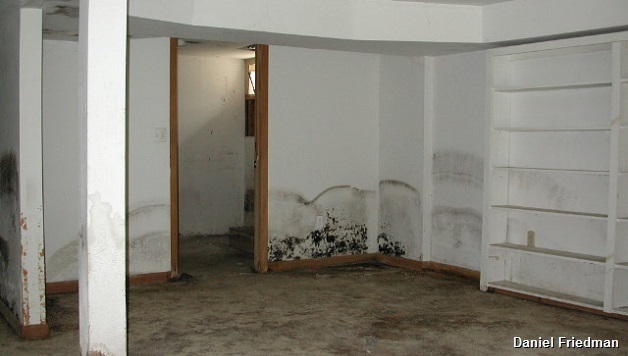 Tenants spoke of extensive mold due to leaking roofs and windows, uneven electrical output, weak water pressure, and stoves and fridges not working. This is Oakland in 2015, where inequality is on par with an underdeveloped country. At the tenant meeting organized by the Campaign for Renters Rights, tenants present echoed what had been heard throughout their flyering: if you call the landlord, you’ll be ignored or you’ll be given the runaround. If you organize, you’ll get results. The shocker for our tenant meeting was that not only did the property manager show up, his presence initially intimidated tenants. He brought with him a well-dressed guy we initially assumed was a lawyer, who described himself as a worker at Happy Homes. Naturally, they were quickly kicked out of the meeting. But, after their departure, one tenant organizer did a google image search of the multi-millionaire owner of Happy Homes; yes, that was him. The multi-millionaire had showed up at the tenant meeting. The owner of almost 200 units of housing was so petrified of his tenants organizing that he’d showed up to a basement meeting and was then kicked out. Tenants and activists are now organizing another tenant-only meeting to plan their next step to end slum-like conditions and to begin to put a nail in the coffin of a world where the poor are treated like they just don’t matter.